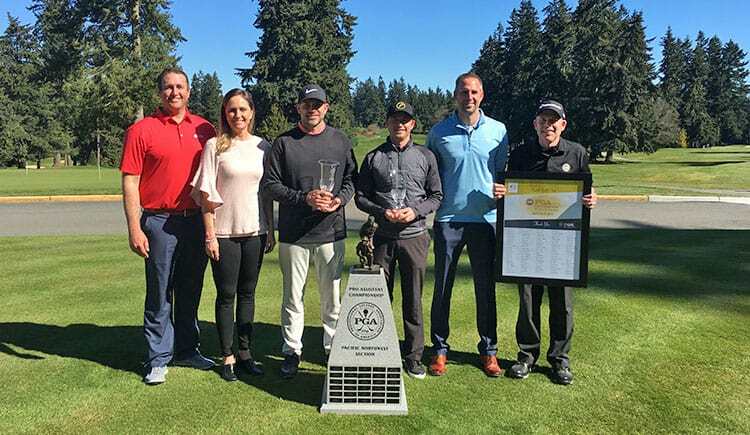 The team of Bryce Fisher and John Cassidy from Arrowhead GC won the Pacific Northwest Pro-Assistant Championship during a playoff on the first extra hole. They posted 66-66 for a 12 under par two-day total. They take home $2,750 for their effort. Representatives Sally Schmitz of Bushnell and Bryan Dickson of Cutter & Buck and Sterling Cut Glass are back as Sponsors of the event. Returning along with them are representatives Riley Goodman and Taylor Roberts of Strideline as Presenting Sponsors . We are also happy to welcome back Matt Pollitt with PTE Golf as a Supporting Sponsor along with David Nelson and Andrew Workman of Hole-in-One U.S.A. and Gordon Schenk of ProTag. It all started in 1992, when it took the Progress Downs team of Jerry Minor and Ralph West SEVEN holes of sudden-death to finally shake the Royal Oaks duo of Steve Bowen and Michael Wilkerson. After shooting 14-under at Tacoma Country and Golf Club, neither of the two teams could get a birdie putt to drop in the playoff. The 1995 Redwood Golf Center team of Scott Williams and Mike Barnett still holds the tournament record after scorching the rest of the field with an 18-under 126 at McCormick Woods GC and winning by three strokes. 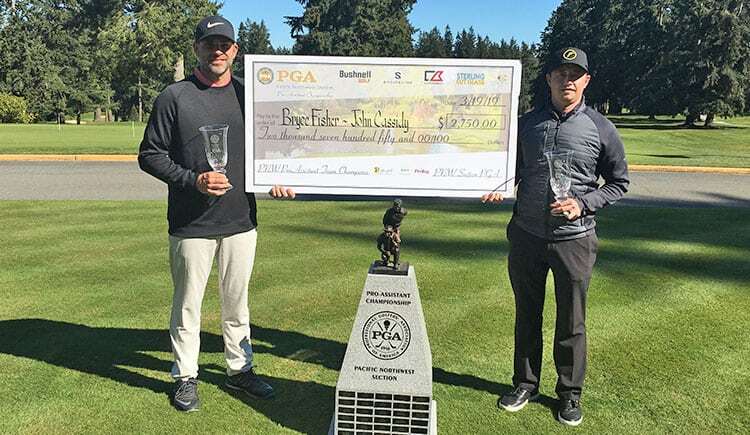 This championship has fostered camaraderie between the Head Professional and his Assistant and is one of the most popular events of the Pacific Northwest Section PGA. In 2008, Head PGA Professional Steve Prugh and his Assistant Corey Prugh made history by being the first father-son duo to capture the title. Seattle Golf Club was founded in 1900 as a 6-hole course on the north shore of Lake Union. The club moved to a 9-hole location in Laurelhurst until 1906. In 1907, a new 18-hole course was designed and built in the location it still is today. Over the years, this challenging and beautiful course has been kept updated while maintaining the classic design of its founders. Originally designed by the club’s first pro, Robert Johnstone from Scotland, it was updated in 1968 by course architect Ted Robinson and remodeled again in 1996 under the direction of Arnold Palmer.